Winner of the silver Benjamin Franklin award for Best Teen Fiction and part of the critically acclaimed transmedia project Poet Anderson: The Dream Walker, comes what is hailed as a "teen Blade Runner, this book has nonstop action with dramatic, heart-pounding escapes" by the School Library Journal. 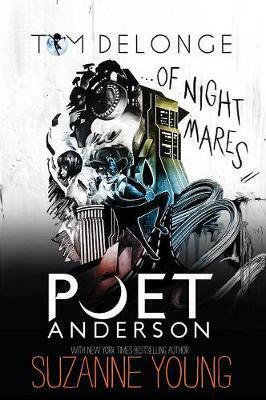 Poet Anderson...Of Nightmares is a thrilling, edge of your seat story written by award-winning musician, producer and director Tom DeLonge and New York Times bestselling author Suzanne Young. Poet Anderson...Of Nightmares follows the epic journey of two orphan brothers, Jonas and Alan, who are Lucid Dreamers. After a tragic car accident lands Alan in a coma, Jonas sets out into the Dream World in an attempt to find his brother and wake him up. What he discovers instead is an entire shared consciousness where fear comes to life as a snarling beast called a Night Terror, and a creature named REM is bent on destruction and misery, devouring the souls of the strongest dreamers to get closer to the Waking World. With the help of a Dream Walker--a guardian of the dreamscape, Jonas must face his fears, save his brother, and become who he was always meant to be: Poet Anderson. Also keep an eye out for ...Of Nightmares, the original soundtrack EP by Angels & Airwaves. Tom DeLonge: An award-winning American musician, producer and director best known as the lead vocalist and songwriter for the platinum selling rock bands Blink-182 and Angles & Airwaves. Suzanne Young: Suzanne Young is the New York Times bestselling author of The Program series. Originally from Utica, New York, Suzanne moved to Arizona to pursue her dream of not freezing to death. She is a novelist and an English teacher, but not always in that order. Suzanne is the author of THE PROGRAM, THE TREATMENT, THE REMEDY, and HOTEL RUBY.